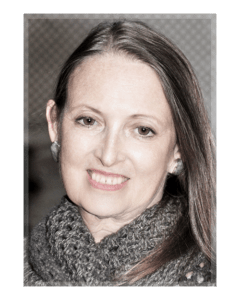 Here are the recordings of my interview at the Shift Network’s Energy Medicine Telesummit and of our Reiki Q&A follow-up. We received a lot of very important questions about Reiki practice but if you have another question after listening to the recording, you can leave it as a comment below. Please share these recordings and be sure to leave your questions! Hi Pamela, thank you for offering this Q&A session. I sometimes feel ungrounded while receiving Reiki and while giving it to others. Do you have any tips or suggestions for grounding while practicing Reiki? Sara, Reiki practice is balancing, and part of being balanced is being grounded, so I’m unsure what you are experiencing. Are you feeling so relaxed when you receive Reiki treatment that you think you are ungrounded? How do you feel after the session is finished and you have rested on the table for however long you need to be ready to get up? Are you moving too quickly after Reiki treatment or self practice, without giving your awareness time to become present in your body? When you practice Reiki on someone else, are you staying present and aware, eyes open, or are you letting yourself go into a meditative state? I spoke about this on the recording. I am not sure if I will be able to watch the whole session, likely will be listening to recording. I have had reiki treatments done on me a few times, I am very interested in formally learning to do this practice myself. 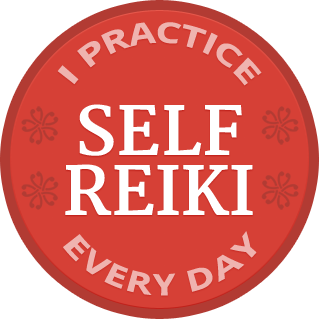 I do have a couple questions: What does self reiki look like? How is it done? Is it done like a meditation? other questions are about attunements: What is an attunement? What does it look like? Does it need to be done in person? Can you practice reiki without it? I have had the Usui and Tibetan master attunements done 5 years ago and several months after my Level 2 attunement. The short time frame was due to an emergency situation and I did not have the opportunity for lengthy in depth study with my master. I moved shortly after the attunements. Now I would like to continue to learn snd improve my skills. Is it acceptable to request assistance from another master? Could you offer suggestions on how to approach this? Thank you so much. I practise other hands on energy medicine techniques and a friend who is a reiki master said that it would be impossible for people who hadnt been attuned to do any form of hands on energy healing ? Is this correct and how does it explain people who do great work like Donna Eden, Barbara Brennan, etc. Another friend who was a reiki master gave me a level 1 attunement years ago just sitting in my living room – i wasnt really aware at the time what it was about – I presumme this means the symbols are now in my system and have been for years and therefore in my other energy healing work i may also have been using Reiki energy anyway without realising it. Would they still be affective having been attuned like that ? I presumme once you are attuned you are attuned and it is not going to ‘disappear’. So if I am attuned could I reactivate this by putting into practise. If i wanted to begin to use it in a self reiki way would that be possible ? – to just begin like that or would I need to be ‘checked’ in some way. It is easy I guess because of not paying lots of money or having any great ritual around my attunement to feel that it wasn’t proper and so wouldnt have been so affective!! ridiculous and sad I know but thats how our modern material minds are kind of programmed isnt it. A gift for free and then we go and beleive it might not work because the person who paid $100’s for theirs must have the better / proper version. Out of interest can we become ‘unattuned’ and get symbols removed ? Can a reiki practitioner take on a client’s energy or ailment or karma while practicing reiki? How does a practitoner protect themselves from this? How does a practitioner make sure energy in their own field is not transferred to the client? I’m a reiki 2 and I feel very fortunate and blessed to have been trained by a reiki master teacher trained by Susan Mitchell. Your talk on the energy summit was very informative and I enjoyed it. I sometimes find that explaining reiki to some people requires different approaches and I am always glad to learn more ways to help them understand it!! Thank you very much! Hi Pamela, Thank you for that wonderful talk on the summit. It was excellent and very informative. 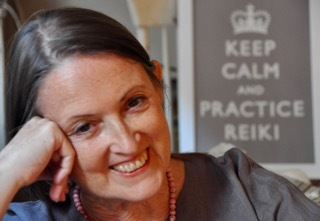 I did a course on Reiki 1 followed about eight months later with Reiki 2. I practiced self Reiki and also was having Reiki sessions with a wonderful teacher for a while. However, I lapsed for about a year. I am starting to do self Reiki. My question is – does a person lose the attunement? Or by starting up myself Reiki practice again, is it just as powerful as when I was attuned during my trainings? My plan is to possibly take the courses again. And I have a dream of beginning a Reiki practice for others. Thank you!! Thank you for your kind words and your question, Gretchen. It’s an important one that I am often asked and I look forward to talking about next week. Meanwhile why not resume your daily self practice? Click here if you would like to receive 30 days of free email support for your self practice and you might find these self-practice tips helpful. Me ugly stuff.? Then my ex husband is also practicing and I think he is sending stuff to hurt me because I had him convicted. Can you help me with better blocking that kind of stuff? I don’t want to know what would hurt them just stop this from affecting me and my family. Yes, Teresa, we can definitely discuss that kind of situation in the Q&A. What exactly happens when a practitioner put their hands on to a patient and how is this different from a non trained person? Happy to help, Peggie. The greatest gift of Reiki practice is that anyone can learn.